October 18, 2016 – The weather forecast for faraway, blistering planets called “hot Jupiters” might go something like this: Cloudy nights and sunny days, with a high of 2,400 degrees Fahrenheit (about 1,300 degrees Celsius, or 1,600 Kelvin). Hot Jupiters, among the first of the thousands of exoplanets discovered in our galaxy so far, orbit their stars so tightly that they are perpetually charbroiled. And while that might discourage galactic vacationers, the study represents a significant advance in understanding the structure of alien atmospheres. A “year” on such a planet can be only a few Earth days long, the time the planet takes to whip once around its star. On a “cooler” hot Jupiter, temperatures of 2,400 degrees Fahrenheit might prevail. The new findings come as scientists the 21st anniversary of exoplanet hunting. On October 6, 1995, a Swiss team announced the discovery of 51 Pegasi b, a hot Jupiter that was the first planet to be confirmed in orbit around a sun-like star. 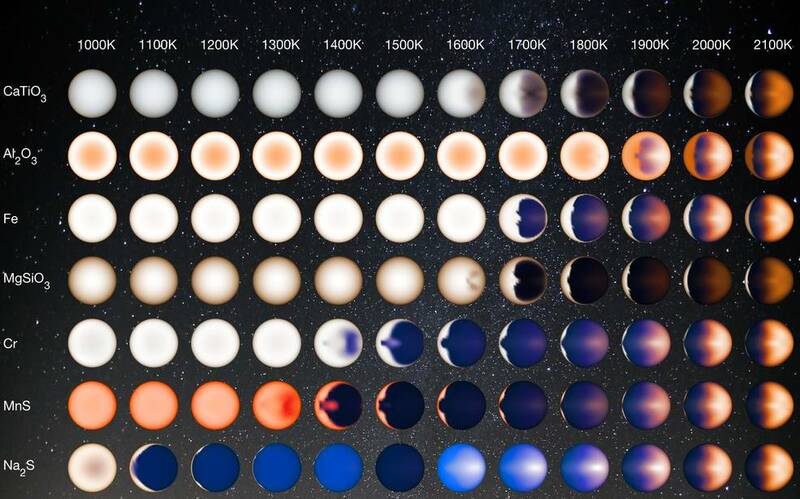 Parmentier and his team hope their revelations about the clouds on hot Jupiters could bring more detailed understanding of hot Jupiter atmospheres and their chemistry, a major goal of exoplanet atmospheric studies. NASA Ames manages the Kepler and K2 missions for NASA’s Science Mission Directorate. NASA’s Jet Propulsion Laboratory in Pasadena, California, managed Kepler mission development. Ball Aerospace & Technologies Corporation operates the flight system with support from the Laboratory for Atmospheric and Space Physics at the University of Colorado at Boulder. This work was performed in part under contract with JPL, funded by NASA through the Sagan Fellowship Program, executed by the NASA Exoplanet Science Institute.